Many might ask, what is THE PEACE STORE? 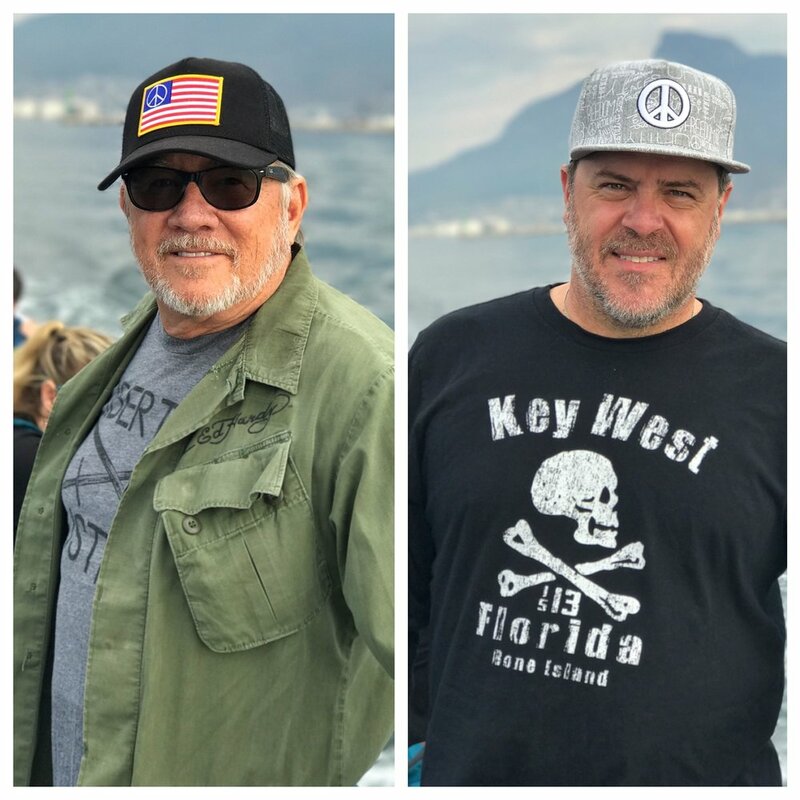 Simply put, it is a place that connects PEACE themed items with consumers online and in a boutique store located in Key West. It is also a virtual space where we can share ideas, pictures, art and words to inspire hope and pragmatism. We picked Key West for the store because, well, it is Key West, a mostly peaceful little community at the gateway to paradise. We might best be described as small business entrepreneurs who want to promote PEACE in the marketplace. Our inspiration for starting the online PEACE marketplace came from having a strong response to PEACE items in our funky Key West and Provincetown stores. While everyone faces BIG BOX corporate competition and pricing, we are making a commitment to keep MOM & POP shops alive. PEACE is honorable and worth the effort. We are constantly at war and it is counterintuitive to life, liberty and the pursuit of happiness. U.S. spending on combating violence, terrorism and the militarization of our police and local “peace” keeping forces has diminished the Nation’s ability to pay for PEACE, educate our children, care for the needy, provide for a healthy society and allow small businesses an opportunity for community entrepreneurship. We live in a violent, aggressive and competitive society where war and greed have become sport. Our world will destroy itself unless we build a counter consumer movement focused on PEACE. Similar to democracy taking hold in the USSR because of consumer trends, we can put PEACE in the scope of consumers to counter the threat of eating up Mothers Earth’s capacity to naturally produce for her people and our future. As small businesspeople, we realize that knowing the system helps us change the system. A large segment of America wants to believe in the American Dream, but may not know how big forces move against their individualism and interests. --- banks, big box stores, suppliers of goods and services who make their profits by manipulating democracy for greed. We have had many progressive moments in U.S. history and moving back to concepts of individual freedoms and true representative democracy from the grasps of a no holds barred consumer democracy is critical for a world spinning out of control. THE PEACE STORE raises the level of satire and commentary, allowing us to wear products to display our activism and intent to deny violence, hatred, racism, sexism, classism, homophobia, ageism and xenophobia, and other “isms,” among intolerances which divide people. America’s obsession with false prophets is alarming and our business background in media has taught us that we have moved into an era of macro deception and falsehoods – say and do anything for a profit. Fear sells war. Lives are patterned after fictional entertainment like lifestyles of the rich and famous. Religious devotion is misinterpreted by a cast of agents parading as disciples of god for profit and power. Those who question society’s right to use up Earth’s bounty are ostracized and given the stigma of acting un-American. Our kids are fed a steady diet of advertising and led to emulate media and sports celebrities whose open book lives leave much to be desired. A pause for relief is in the offing and we will play our part by focusing our business on PEACE. Finally, we applaud the many enterprises who have taken the risk of selling PEACE items in their shops for years. It is their commitment and those who fly a peace flag, wear a shirt or button, recycle their waste, conserve their water and look at those who are different as equals in a human race that make a daily difference. Seek them out and support them.